This is the first recipe from the In the Kitchen With David cookbook that didn't turn out as planned. There may have been a bit of extra cheese added. I'm rather sure that I accidentally doubled it, which caused the sauce to just not be right... but surprisingly it was still edible, and once the extra cheese parts were removed it was rather delicious. It's good enough to be put back into the list of meals to be made, and this time be made correctly. Don't look too closely, as you will see clumps of cheese that never melted. Bring a large pot of water and 2 tsp of salt to a boil. Add the broccoli to the boiling water and cook for about 2 minutes. Using a hand strainer or a slotted spoon, remove the broccoli from the water. Run the broccoli under cold water and put in a mixing bowl. In the water you just cooked the broccoli in, add the penne and cook for about 7 minutes. Drain the penne and mix into a bowl with the broccoli. Season the chicken with the remaining salt and pepper. Pour EVOO into a sauce pan and heat over medium high heat. Put the chicken into the sauce pan. Work in batches if you have to and cook for 4 minutes. 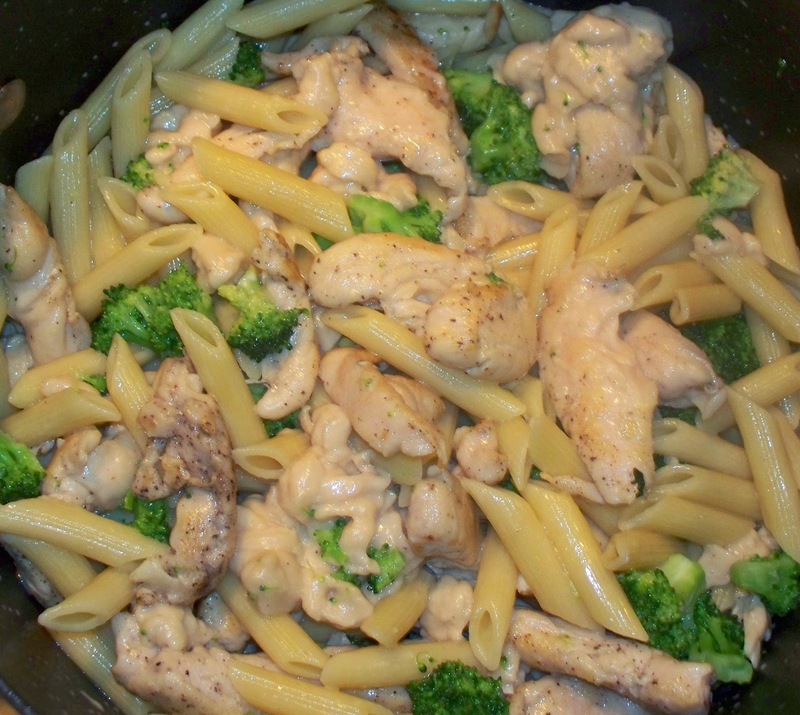 Mix cooked chicken with the noodles and broccoli. Add wine and garlic to the sauce pan, lower to medium heat, and cook for 1 minute. Stir in cream and then slowly stir in the 1 1/2 cups Parmigiano-Reggiano and all the Fontina. Pour the sauce over the noodle mixture and mix it in. Garnish with the remaining Parmigiano-Reggiano when serving.